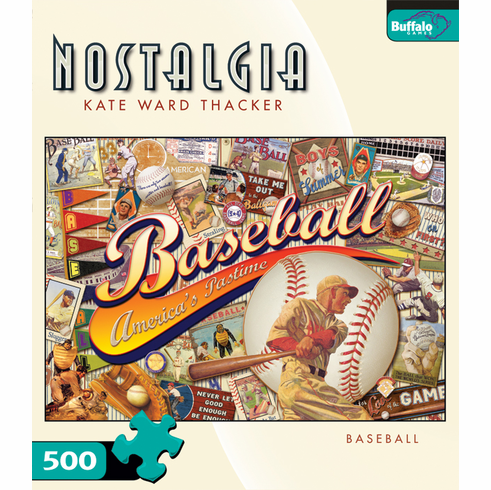 This 500 piece Baseball Nostalgia puzzle features Kate Ward Thacker's design of baseball collectibles. Puzzle measures appx. 21 1/4" x 15" when complete.